It’s difficult to predict how long a water heater might last, but it’s important to understand when you need a new one. 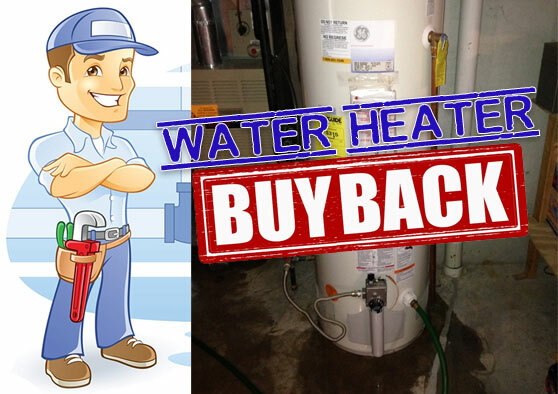 A new water heater can improve your energy efficiency, make your home more affordable, and extend the working life of your water-based appliances. When you believe that your water heater has reached its limit, usually after many years, it may be time for a replacement. Water heaters tend to have an approximate life of 10-11 years. There are other factors involved in its life, such as frequency of use, the need for repairs, and the location of the water heater.Lex’s Plumbing has more than a decade of experience in the industry, and our team can be of service when you need a new installation. We have more than a decade of experience in the plumbing business and are experts in the installation and repair of water heaters. With our knowledge and level of skill, you could have a new water heater installed in no time at all. Our focus is providing you with exceptional service as quickly as possible, so you have very little down time without hot water.At Lex’s Plumbing, we have created a company based on the characteristics of being trustworthy and reliable. When you use our water heater installation services, you can expect total professionalism and a friendly attitude from your plumber. We also offer emergency water heater service, in order to help you to have hot water as quickly as possible. In most cases, we can install a new or replacement water heater and you allow you resume your normal activities that same day. When it comes to major appliances like your water heater, installation is a crucial aspect of the process. Even the best water heaters can malfunction or break down entirely if they are not installed properly. It pays to survey your options and choose the best water heater specialist in your area so that you can look forward to years of service from your appliance. If it’s just about time to look for a new water heater for your home or workplace, there may be a few different options that seem to meet your criteria. It’s a good idea to consider the brand of the water heater as well as its type. You can also find energy-efficient units that will help you save money. Read on for more on what you should look for when choosing a water heater. Brand – A quality water heater will be good for your appliances, your comfort, and even your health. Rather than going with the first or cheapest option, take your time and look at different brands. A water heater from a good brand such as Rinnai can offer years of efficient service. Heater Type – Water heaters come in a few different configurations, so think about your needs and the benefits of each when you start looking for a new one. Tankless water heaters are advantageous because they take up less space than traditional water heaters. Additionally, you will never have to worry about running out of hot water with a tankless heater. Energy-Efficient Options – Today’s appliances are more efficient than ever. Energy-efficient water heaters do more with the energy they are allotted, which can extend their working lives. They can also reduce your energy bills, making your home or workplace more affordable. If you are interested in recommendations, we’d be happy to help you to determine which water heater is right for you and your family. There are many factors to be considered including your usage expectations and general water heating needs. Give us a call at (469) 362-5397 now to begin discussing your options!